ZNShine Solar Panels: Tier 1? What's The Warranty? Who Makes Them? Home > Solar Panels > What The Hell Are ZNShine Solar Panels? What The Hell Are ZNShine Solar Panels? If you want the dirt on ZNShine panels I’ve got some bad news for you. According to ZNShine Solar, dirt just slides right off their new graphene coated panels when it rains. But while it may be difficult to get dirt on their panels, I can tell you everything I know about them. 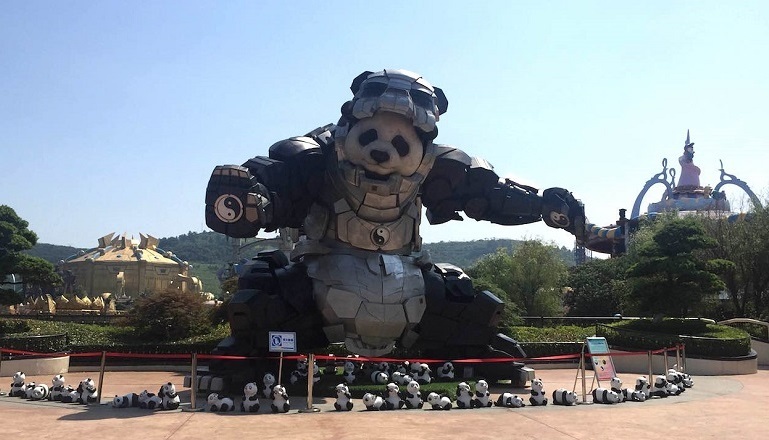 This isn’t as much as I’d like, as you can probably tell by the fact I’ve padded out this article with a picture of a giant robot panda. ZNShine makes up a small but increasing portion of the solar panels being installed in Australia. They are tier one, which hopefully indicates that solar farm developers consider them reliable. But they are a low cost tier one panel. 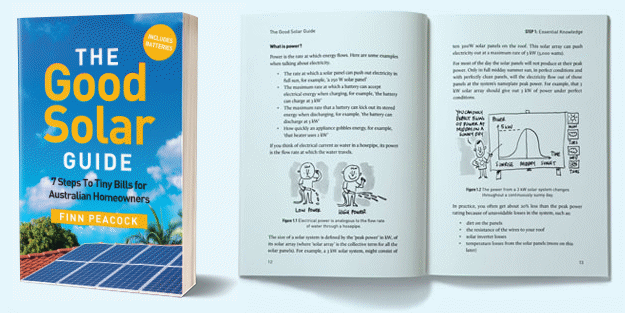 They have a 10 year product warranty, which is now the industry minimum, and their standard solar panels have a typical performance warranty of 25 years. 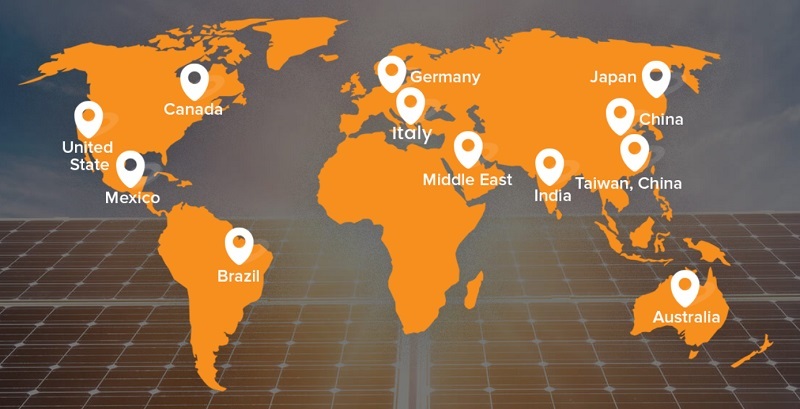 ZNShine Solar does not have an Australian office. This means responsibility for the warranties lies with the installer and the importer. Sometimes the installer is the importer, which means if they go bust the warranties will disappear with them. What’s In A Name? Possibly Zinc. Australians who dare utter their name usually pronounce ZNShine as Zed-Enn-Shine. But on a ZNShine Youtube video — which had just 160 looksies prior to me catapulting it into fame — they pronounce it as Zen-Shine. I presume that’s how it’s meant to be said but for all I know it’s simply what the voice actor and director settled on after a brief argument and fist fight. Why they want it pronounced as Zen-Shine, I don’t know. Zen Buddhism originated in China, but they don’t pronounce it as “zen” there. That’s how the Japanese say it. But ZNShine sell solar panels in Japan so the name may have been a cunning plan to boost sales there. It would be like selling Baptist panels in the United States. 2.7 gigawatts of standard solar panel capacity. 300 megawatts of double glass production capacity. Well, I say artistically scattered, but I presume the European and Canadian capacity is there to avoid import tariffs and the Indian capacity is to meet local content requirements. Their total production capacity comes to 3.2 gigawatts, which these days makes ZNShine a medium sized solar manufacturer. As you can see, China’s metal tentacle technology is far more lightweight and convenient than America’s. Their efficiency ranges from 15.6% to 18.9%. They have lower efficiency polysilicon panels and higher efficiency monosilicon panels. Their efficiency loss due to heat is typical. Their size and weight is standard. Their product warranty is 10 years and their performance warranty is 25 years. ZNShine Solar also produces double glass panels. They share the same 10 year product warranty but have a 30 year performance warranty. It reduces reflection and increases the transmission of light through the glass. It makes the solar panel dirt resistant. By increasing the amount of light that passes through, graphene may increase the output of a panel by 1-2 watts. This isn’t much, but every bit helps. However, it doesn’t compare will with anti-reflective coatings used by high end solar panels that can be more than 7 times as effective. The graphene coating also makes the panel hydrophilic, which means water loving, while normal glass is hydrophobic3, which means water fearing. On normal glass, water is much more attracted to itself than it is to the glass and so forms beads and droplets. But water just loves touching graphene and will spread out evenly over glass coated with it. This means even a little water can wash away dirt and droplets of water won’t be left behind that can evaporate and leave dirt. What ZNShine describes as normal glass is on the left and glass with a dirt resistant graphene coating is on the right. ZNShine Solar says the coating’s dirt resistance can increase a panel’s output by 5%, but I don’t believe them. This could be true in dirty places that may be common in China, but in most of Australia rainfall on ordinary solar panels should be enough to keep total losses from dirt under 5%. So even if the graphene coating was miraculously effective, the improvement in output shouldn’t be that high. I’m also concerned the graphene layer could rapidly wear out because it’s only one atom thick. They may have developed a way to make it last long term, but because ZNShine Solar doesn’t give any information on this it makes my suspicious mind think it may not last long. Hopefully, my suspicious mind is wrong about this. While ZNShine can provide panels with graphene coating it is not a standard feature on any of their solar panels at the moment. It’s an optional extra. But they appear to be going all in and by the end of this year say they will have increased their panel manufacturing capacity to 5 gigwatts of graphene coated panels. 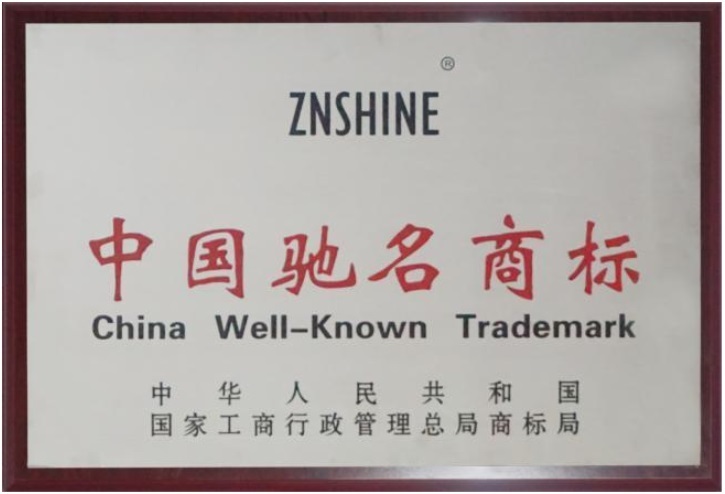 In China ZNShine isn’t just a trademark, it’s a well known trademark. Their map makes it look like they have a presence in Australia, but all I could find was a post office box. Many people have no idea who the importer was. Importers can go out of business. Your installer could have been the importer. If you can’t identify the importer or they are no longer around then you’ll have no warranty support. If the installer directly imports the solar panels, as some large budget installers do, then you are at greater risk because if they go bust they’ll take all warranty support with them. If the installer and the importer are separate companies there’s a better chance at least one of them will be around in the future if you need them. With luck you won’t need to make a warranty claim because ZNShine Solar panels will turn out to be reliable. I would like to think that Wang Dong4, the technical and quality general manager of Znshine Solar, is working hard to maintain rigorous standards for every solar panel that leaves one of their factories. 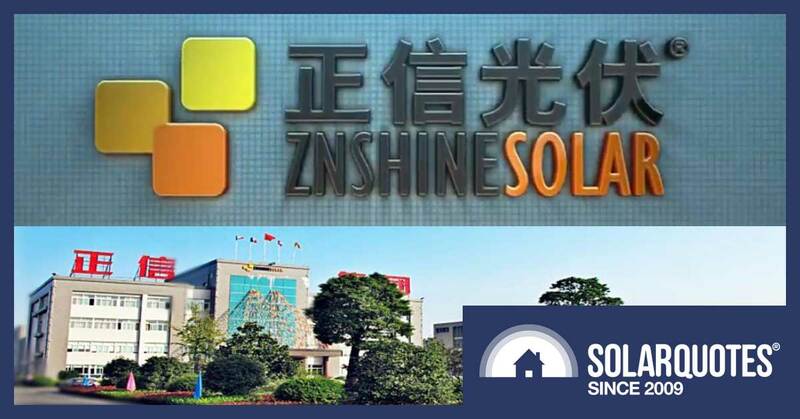 But because I don’t have any information on the quality of ZNShine solar panels arriving in Australia and because they don’t have an office in this country, they are not among one of the panel brands we recommend, which you can find in our Solar 101 Guide. I think you’d be better off with ZNShine than a random, low cost panel, so if you think they’re a good deal I’m not going to try to talk you out of getting them. But personally, I’d choose a solar panel brand with an Australian office that I can fall back on for an additional layer of warranty support. Previous Article: South Australia’s Home Battery Scheme – Where’s It At? Ron, I recall clearly my first visit to the ZNShine manufacturing facility in Changzhou Jiangsu Province in 2010, for two notable moments. I organised a renewable energy technologies 14-day tour for Australian CEC accredited installers / RE business owners / electrical contractors / and RMIT RE educators; to learn about and connect with the Chinese RE manufacturing heavy hitters of the time. Also in our tour group of 16 RE practitioners was the Australian Consul General Grant Dooley to add a bit of political clout to “team RE Australia” and it was great to have the Australian Government add its support to my Chinese based company by making Grant available, as we both served in the RAN together in previous chapters of our lives. The tour included manufacturers; Gamesa and Suzlon (wind power); Growatt; Eaton; PowerOne and ABB (inverters); CSG, Kinve, Suntech and ZNShine (solar PV); Motech (solar cells), and Ganfu (hydro power). Many RE supply lines were forged through this first ever Aussie technology tour group. But what was most notable was that ZNShine unlike all other PV manufacturers globally at that time, were the first to trial a robot automatic hands-off PV panel production line to its operations just that week we arrived there. This effectively displaced the hand soldering of PV tracks on solar cells, which was all done by female solderers by hand in a temperature-controlled environment. It was also notable in that I gave an Excel spreadsheet-based projector presentation to the ZNShine executive management that visit, on a large screen forecasting the rapid decline in PV ex-factory price from the current (then) over USD $1.50 per watt to my projected USD $0.45 per watt by December 31st two years hence. On hearing this, the ZNShine founder and CEO nearly fainted; got up and stormed out screaming the Chinese equivalent of “bull shitting Australians”. The take away lesson was however – never dismiss Aussie logic and engineering experience lightly. Within 2 years the price hovered around USD $0.45 per watt, and ZNShine like many other manufacturers struggled to survive as a result. But they did so under the leadership of the founders’ son who returned from working and studying in the USA to the family business in 2010. ZNShine are very highly regarded by many globally who know what makes the industry tick regarding manufacturing endurance. PS. The trial robot production line failed badly and soldering by hand was quickly reinstated. Its all working well now though. As a technology manufacturer myself since 1985; the trials and tribulations of the evolution of manufacturing techniques – I know them well. Thanks for that inside look, Lawrence. Very interesting. Like you, I have an Industrial Chemistry background and, like you, had a Zinc hit at first glance at your article. Maybe the pronunciation has origins in US linguistics rather than Australian language. The Americans would say Zee-N-Shine, not Zed-N-Shine. Good thinking with the American “Zee-N-Shine”. I listened to the video again and it doesn’t sound like the American pronunciation to me, but it certainly could be where “Zen-Shine” came from. Is a creative representation of the Chinese phrase adopted by the company when founded that expresses the following feeling: “believe and trust in the positive message of photovoltaics”. In Chinese this can be spoken in several ways but the key Chinese word that expresses and emphasises the feeling of the phrase is Xiangxin; which has several meanings along a similar vein including; believe in, have trust in, have faith in, regard as true. So this word (Xiangxin) sets the tone of the positive phrase about the values of solar power. So in an attempt to shorten all of that into an English sound-bite that the company can take forward, the word (Xiangxin) when spoken sounds close to ZN in English speaking, and the solar power component of course is all about sun Shine. The result became: ZNShine but the original meaning of the phrase is still contained in the Chinese characters always used alongside the English name ZNShine. Actually the characters are zheng-xin (last 2 characters guang-fu mean photovoltaic) – meaning roughly correct message. Originally having English was just a marketing exercise for local market to help demonstrate they are a modern company – pretty much like all English you see in China. In Australia there is no smog but there is a lot of dust, see how the Znshine VS Longi graphene coating works. I wouldn’t normally allow a video that mostly consists of heavy breathing, but in this case I’ll make an exception.